ETF In Singapore? What Is It And Should I Invest In It? Thinking of investing in ETFs? Learn more about it here first. Our time is precious, and so is our money. There’s no sense in investing in something that makes little sense and adds little to no value. If you’re thinking about entering the stock market or just started trading, you may have come across the term “Exchange Traded Fund” (ETF). It’s commonly floated about and easily misunderstood, or not understood at all! We’ll break it down for you so you know what it is, why it’s worth investing (or not) and which is the best ETF in Singapore right now. So lay it on me – what is an ETF? You’re likely here because you want to learn more about stocks, or you’ve come across this term and it just leaves you more confused than when you started. For you to have a basic understanding, we’ll need to give you a breakdown of other similarly perplexing acronyms. But once we’re through you’ll get the hang of it in no time. Basically, an ETF is a fund that you buy shares of. The investors managing this fund then take the pool of money and invest it in different assets. These could be in properties, bonds, gold/silver and so on. The assets can be bought from foreign companies as well, so you’re not just dealing with the local market. ETF shares have their own value based off the assets held under this ETF. You enjoy ownership of many different assets from just one share. Why do people like to invest in ETFs? Because of liquidity. Liquidity is just a fancy word for how often something is traded. Because an ETF is a share, it can change value a lot, so people tend to buy and sell daily. Normally, mutual funds (something similar to ETFs) have their Net Asset Value (NAV) calculated when the market closes at the end of the day. But because ETFs may hold assets from different countries with different market closing times, it can close earlier or later than your local market. NAVs are worth bearing in mind because your ETF market value may have differences from the NAV, but that’s not uncommon. It serves as a guiding stick. 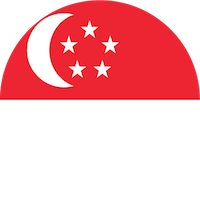 Why should I buy an ETF in Singapore? ETFs are generally seen as a safe investment because the share is a collection of funds. Basically, when everyone is doing well, you do well too. And that also lowers the risk, because if one asset is underperforming/losing money, it doesn’t affect the ETFs NAV that badly, or at all. You get to own a share that has assets in different countries, or certain industries that are doing well. The diversity matched with its liquidity means its commonly purchased by individual traders. You can buy as little as one share and earn a small profit by selling later that day. The lack of upfront fees sweeten the deal and makes ETFs cost-effective. You could hold onto ETF shares and enjoy returns through capital gains and quarterly dividend payments if you’re more patient or confident in the shares’ future. And the best ETF in Singapore is? We’ve listed a few ETFs you can find on the Singapore Exchange Market (SGX) to get you started. These are based on various calculations and industry forecasts. Visit the ETFs’ websites to see a full list of assets held under the fund. If you’re unsure which to invest in, these might be a good start. However, you might be more familiar with niche markets or certain industries, so it’s good to research others once you’re more comfortable and ready to venture out on your own. Comment: Singapore has enjoyed economic growth in recent years and is expected to continue this positive trend. The Straight Times Index ETF holds shares from companies in various industries that are driving Singapore’s economy. Comment: One of the most famous shares in the world, you’ll often see S&P 500 flashing across the screen in the finance headlines when you turn on the news. This is a collection of the top performing 500 companies in USA, and you can enjoy their success as well through the ETF shares. It’s been going strong for a reason, and is considered one of the most stable shares. Comment: Similar to the Strait Times Index ETF, the Xtrackers MSCI Singapore UCITS ETF holds a diverse range of assets from various Singaporean companies in different industries. If you’re looking to strengthen Singapore’s future economy and don’t mind holding onto a long-term option, this might be for you. Comment: Another contender for most well-known share name, the Dow Jones Industrial Average ETF is the longest running index fund in the US. It is seen as a general financial barometer for the US economy. This is due to holding shares from only 30 companies who are considered as their respective industry leaders. Feel you have a better grasp of what an ETF is? Know which ETF in Singapore you’ll go for? Leave a comment!